Deputy President William Ruto has called out professionals in various sectors over the rise in graft, urging them to lead by example through ethical practices. Speaking at the first Inter-Professionals Summit in Mombasa on Wednesday, Dr Ruto also said the war on corruption has been politicized. The DP observed that the war must uphold integrity war and said he was surprised that some individuals have a problem with his assertion that the war must be fact-led and evidence-based. “A war on corruption that lacks integrity ceases to be a war on corruption and becomes corruption itself. A war that lacks integrity is impunity. An integrity war waged selectively, using convenient half-truths, with political outcomes in mind, is impunity,” he added. Ruto further called on professionals to promote ethics and integrity in public service as they drive their agenda and policies. “Our most vexing problems as a nation have a strong professional component. And they relate to our professionals failing to rise to their highest standards and full potential. “Accountants who manipulate numbers, occasioning loss of value in the public and private sectors; surveyors and planners who facilitate expropriation of public land in shoddy and corrupt schemes; human resource managers who skew interviews and promotions and sacrifice merit at the shrine of tribalism, and qualification on the altar of nepotism are to blame for corruption,” declared the DP. The Kenyan Judicial system was also not spared in DP Ruto’s lecture. The DP said wayward lawyers promote judicial corruption, adding that a bad decision procured for a valuable reward requires lawyers willing to negotiate terms and coordinate modalities by which the justice is perverted. Also castigated by the DP were road engineers who compromise designs, allow poor supervision, permit shortcuts, or approve substandard work. He said bad roads are a direct consequence of corrupt dealings. 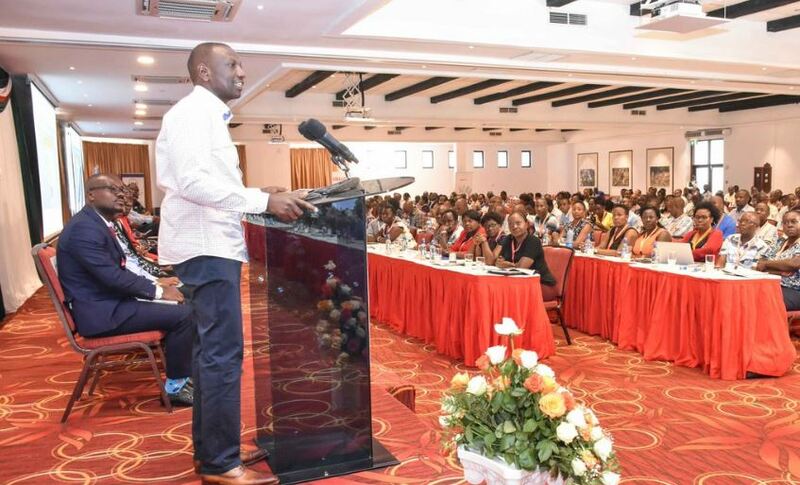 “To manage these problems, it is important that our professionals organise within national professional organisations, which can provide peer assessment, call out unprofessional colleagues and provide continuous all-round improvement,” said Ruto. According to Dr Ruto, the country’s human resource capital is highly regarded worldwide and should be the biggest driver of public service, national development, and national discourse.